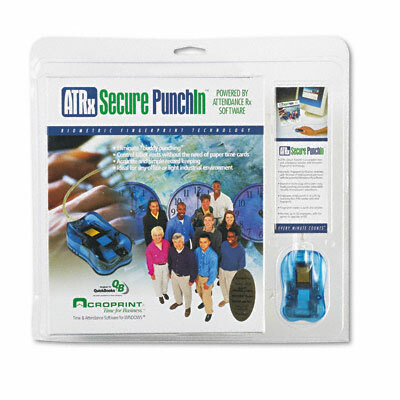 Biometric version of the Attendance Rx™, using employee’s fingerprint to verify PIN number. Single PC version, 50-employees capacity, upgradeable to 100 employees. Eliminate buddy punching. Biometric version of the Attendance Rx™, using employee’s fingerprint to verify PIN number. Single PC version, 50-employees capacity, upgradeable to 100 employees.